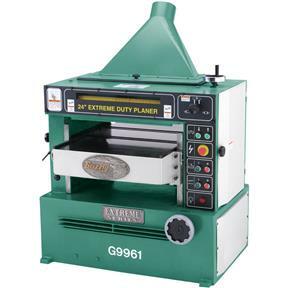 This is the "big daddy" in our line of extreme-duty planers! 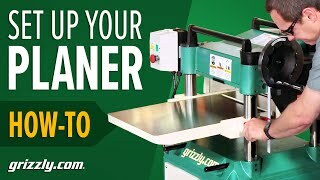 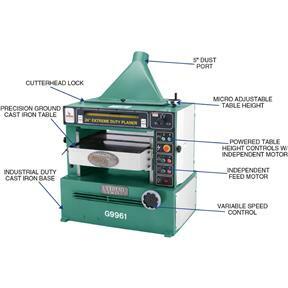 This machine has all the features of its little brother, like the power up/down control for the table and a variable-speed feed. 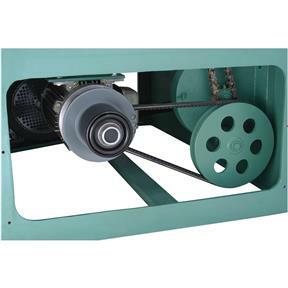 The bed rollers on this machine are also power driven and adjustable for height when milling rough-cut lumber. 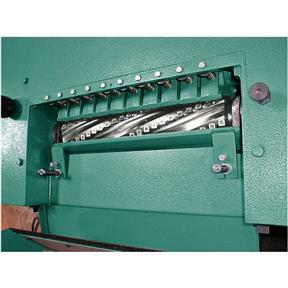 Segmented chip breakers, spiral cutterhead and feed rate of 20-40 feet per minute means you can get the best possible finish. 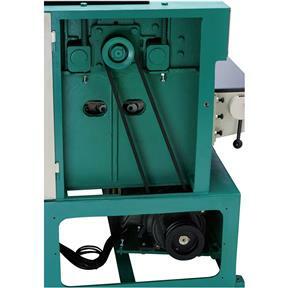 Check out the specs and features below, and you'll see this machine can hold up to the most strenuous production runs.